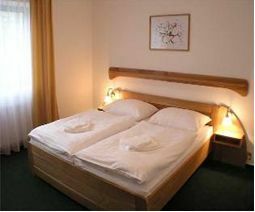 Hotel OYA provides 33 very comfortable rooms. There are single, double and triple rooms with shower and WC. All rooms are equipped with color TV/SAT and telephones. Some of the rooms are air-conditioned. There is a good access to the hotel for disabled guests. An air-conditioned restaurant with a bar provides both typical Czech and international dishes. 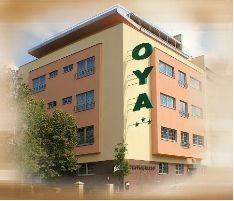 Hotel Oya is situated nearby metro station Prazskeho povstani only three stops from the city centre. From metro station Pražského povstání situated 5 minutes walk away from the hotel take a metro (line C) and go 1 stop to the metro station Vyšehrad. Prague Congress Centre is located next to the metro station. The journey should take up to 10 minutes.